Eisenhower Center provides a spectrum of residential options, tailored to meet the needs of each client as they progress through their rehabilitation. Supported Apartment Programs offer the autonomy and privacy of residing in a community based apartment setting, but with the benefit of 24-hour, on-site support. Our renowned neuro-behavioral program focuses on treating behavioral concerns which interfere with clients reaching their goals. This program specializes in addressing verbal/physical aggression, as well as other unsafe behaviors such as substance abuse, elopement, and sexual disinhibition. Semi-independent living (SIL) is a program offering more autonomy than our other programs, and is designed for people who have demonstrated the ability to manage most day-to-day concerns on their own, but who still benefit from the structure of a program and daily support. 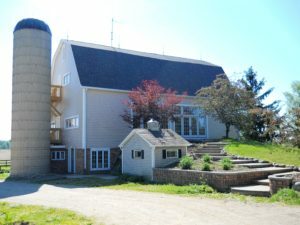 Located 30 minutes from Ann Arbor and set on a working 62 acre farm nestled between the villages of Manchester and Chelsea, our Manchester campus offers an alternative to the hustle and bustle of city life in Ann Arbor. Set in the pristine Keweenaw Peninsula near Houghton and Marquette, our group home provides the Upper Peninsula’s only neuro-rehab option, complete with the renowned care Eisenhower Center is recognized for. This rural setting, complete with private rooms and home-cooked meals make rehabilitation feel more like home. 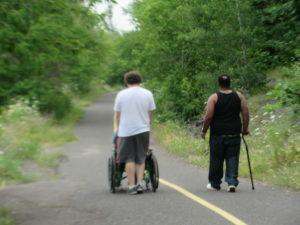 With rehabilitation staff present 24 hours a day, clients find their rehabilitation as a continual processes.